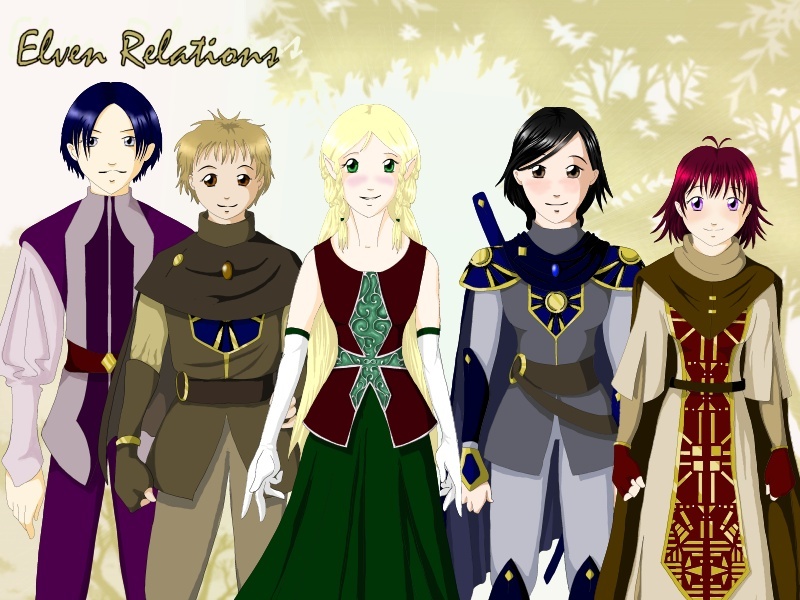 These are characters from Alex Churchill's ren-ai game Elven Relations (which can be downloaded for free - go on, you know you want to). I did all the character art for the game during March 2007, and I had a lot of fun doing it. There's far too much to put it all up in this gallery (although the game has a comprehensive art gallery - another reason to download it ;), so these are the five main characters, not counting the character you actually play.